The Wilkinson Sword Award for PR Excellence 2011 has been awarded to Claire Barbara of Essex ACF. The annual Public Relations competition is open to all ACF Counties. Counties were asked to submit entries into five specialist categories which were judged by the ACF PR Training Team. The winners of these specialist categories were then judged against each other to identify the overall winner. Seven Counties took part and the award was made on the basis of the best submission from all categories. The standard of writing and thought given to the coverage of subjects was very high. All county PR Officers are to be commended for their hard work and continued efforts supporting the ACF. This includes social networking technology, mobile technology such as Twitter, blogs, audio and video pod casts. The winning entry used a well-written blog as part of the campaign at annual camp. The judges also awarded a highly commended in this category for an entry showing use of Twitter and Facebook. This includes papers, external magazines, radio TV etc. The portfolio of pictures submitted by the winner showed both good technical skill and some serious consideration to composition and storytelling. The winner showed a real understanding of the importance of design and had provided a clear rationale of the purpose of the newsletter. There was only one entry in this category though there was considerable evidence within the other four categories of innovative thinking and approaches elsewhere. As a result of the low entry to this category it was decided that there could not be a winner however the entry received should get a Highly Commended. 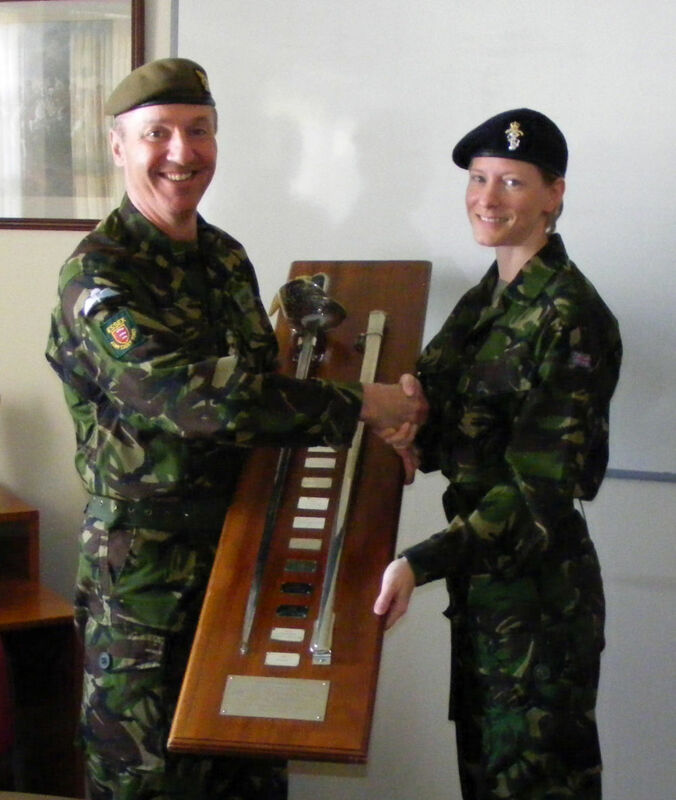 Photo: Claire Barbara being presented with the Wilkinson Sword by Essex Commandant Colonel Monk.